I came across an old blog post in my draft folder, one I never published. As I read through it I didn’t feel the angst I experienced when it was originally written, but it made me remember. Usually I look at old pictures of me, when I was at least 50 pound heavier, and I just accept them for what they are. Accept me for where I was. Usually I feel a sense of accomplishment when I look at those pictures because I see how far I’ve come. I’ve put a lot of pictures up on this site of me at different sizes. Those pictures tell the story better than all the words in the world. I’ve swallowed hard when I post those old pictures. I spent years cropping out most of my body so it didn’t show before going live with a picture, but here I sought to be real. And I thought I was okay with it all. But today I sit at my computer, a perfectly normal size, and I’m grieving and angry. Angry I let the pounds creep on. Grieving the loss of energy and activity I put up with. Wondering why I placed myself so low on the priority list that I allowed the weight gain, the loss of quality of life. Thankful my husband loved and accepted me even at 210, but sad I didn’t take better care of my body for his sake. Wondering why I didn’t CARE enough to change. It does no good to wallow in mistakes. To live in the past only inhibits the future. I’m not going to allow myself to hang out in grief or anger over how I treated my body. But it is good to learn from the past. I’ve been “normal” for a few months now. I’ve hiked in the mountains, hopped out of chairs, gone swimming without the need to hide. I’ve offered myself to my husband in ways I couldn’t with all that weight between us and seen the delight in his eyes. I’ve celebrated the return of my long, slender legs and stood shocked at the mirror when necklaces are suddenly too long instead of so tight I have to add an extender to get them around my neck. I taken bags and bags of too big clothes to Goodwill, even dumped shoes that no longer stay on my feet. 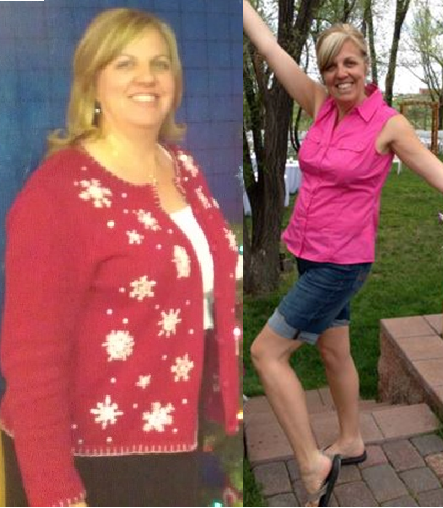 I’ve celebrated every 5 pound weight loss, settling in at 55 pounds gone. Even with all that joy sometimes I forget how important it is. Just this week I returned home after a bad day, emotional and hungry. I started my snacking with wisdom. Just a small cup of yogurt to tide me until dinner, please. But then emotion took over and self-control left, and suddenly while my hand was in a bag of chocolate tortilla chips this quiet, gentle voice inside begged me to STOP, to put away the snacks, to REMEMBER. I rebelled at first, stuffing another handful, then another. But then I slowly returned to myself, to Him, to the journey. My little binge was a lashing out at all that made me unhappy, but its allure paled as I identified it as self-sabotage instead of self-care. It is time to stand. To remember. You need to pat yourself on your back Paula. You have done remarkably well and I for one am so proud of you for sticking with it. Love this blog!! Yes! Recognizing them is half the battle. Thank you, my friend!